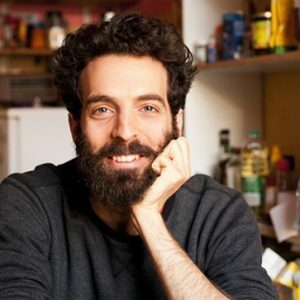 My name is Eyal (it’s pronounced something like hey y’all); I grew up in Israel and moved to Berlin in 2010. I speak English, Hebrew and German. I’ve been working as a guide in the city since 2012 and was working in the past for a few tour companies including “Berlin on Bike” and “Milk and Honey tours”. For the last four years I’ve been working as a private tour guide and loving every minute of it. My tours mostly focus on the Jewish story of Berlin. From early Jewish settlement in Europe and subsequently also in Berlin, to the changes that the Jewish community was going through during the Jewish enlightenment era (the Haskala) beginning in the 18 century and the destruction of the German Jewish world between the years 1933 and 1945 at the hands of the National socialists. In this tour I try to cover the different narratives and theories behind the story of the final solution while trying to avoid the many inaccuracies and clichés that surround it. In addition I also offer many other tours of the city: covering the Prussian period, the Weimar republic, the Third Reich, the cold war (The Berlin wall) and modern day Berlin with its lively art and counter culture scenes. I’m also always very happy to mix it all up.